Perfectly cooked hard boiled eggs are great. If they’re overcooked they can turn rubbery with dry and yuck grey yolks (ferrous sulfide). So keep reading and no longer feel stumped about getting perfect boiled eggs. One of my favorite books is The Science of Good Food. If you liked Alton Brown’s show, then you might like this book. It breaks down food into technical jargon from A to Z. It covers specific foods like malt or eggplant, explains cooking processes like leavening or charring, talks nutrition like about cholesterol, and even gives you some recipes like candied citrus peel. The home cook or the chemist will find it pretty interesting. One of the most useful one I’ve read is all the different ways to cook an egg. I’ve learned how to make some great scrambled eggs, so now to learn to make great hard boiled ones. Place the eggs in room temperature water in a pot, cover the pot, bring to a boil. When it begins to boil, remove the pot from the heat and allow to sit 10 to 15 minutes in the water. 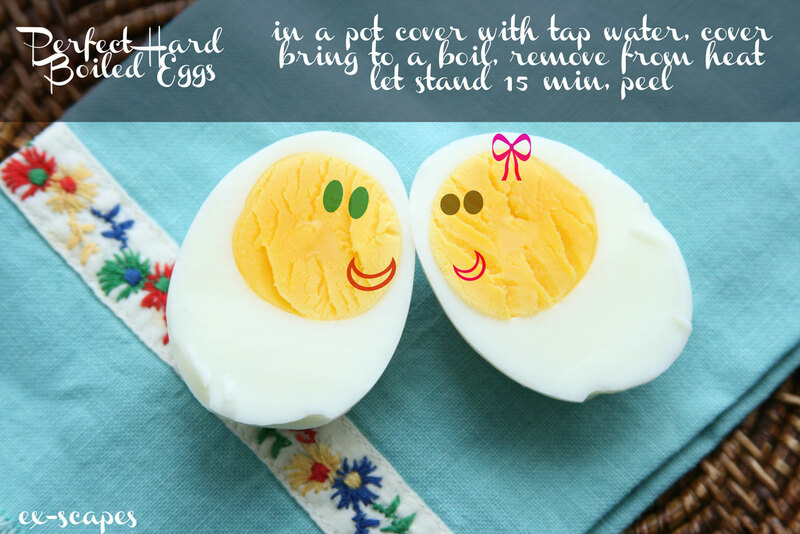 Run the eggs under cool water before peeling. Crack the shell on each end by tapping it against a hard surface. Place it on its side, with your palm roll it forward in one revolution to crack it all around its side. Submerge it in a bowl of water and slip off the shell. I’ve always boiled them for about 15 minutes, then I have to wait forever to peel them. I get impatient and burn my fingers! They’re perfectly done on the inside doing it this way. I’d burn my fingers too, but no more! They can be made in under 20 minutes now.